Used Grade B This Grading Show That The Item Is In Regular Condition For Its Age And Will Show Moderate Signs Of Wear. Used Grade C This Grading Show That The Item Is In Fair Condition For its Age And Will Show Heavy Signs Of Wear. Compatible Dell Part Numbers: DT785, UC218, KN982. Latitude D630, D620. Dell Precision M2300. 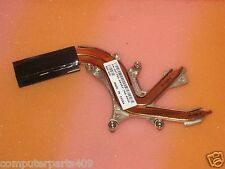 Genuine Dell Laptop Heatsink For Select Latitude and Precision Systems. This is a GENUINE manufacturer part. Trending at $5.30eBay determines this price through a machine learned model of the product's sale prices within the last 90 days. This item is used working pull. Pictures are from one item of the lot. We will assist in any way we can to make your experience the best it can be! If we don't say its included, it probably isn't. Dell Part Number: DT785. compatible DPart Number: UC218. W A R R A N T Y - I N F O R M A T I O N.
WE ARE HERE TO HELP . Compatible Dell Part Numbers: DT785, UC218, KN982. Latitude D630, D620. Dell Precision M2300. 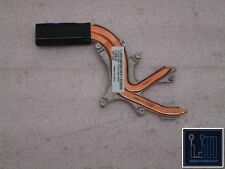 5-LOT Genuine Dell Laptop Heatsink For Select Latitude and Precision Systems. It's fun and easy and everyone wins. This a lot of 3 copper Dell Latitude Precision M2300 CPU Heatsinks. All have been used. Item Condition Used. Manufacturer Part Number: DT785. Heatsink and Fan Details. Dell OEM Original Part. Part taken from a good, working Dell Laptop. Tested and Verified working. These pictures show what will be included with the part portrayed. Item Type : Heatsink & Fan Combo. Compatibility : Dell Latitude D630. Fan Alternate Pt #: Toshiba MCF-J05BM05-1. We do not provide technical support for setup, installation or any other user-related issues. 100% Tested Working. Grade "A". 100% Tested Working. Grade "A". Grade A: Fully Tested. Compatible Dell Part Numbers: DT785, UC218, KN982. Latitude D630, D620. Dell Precision M2300. 6-LOT Genuine Dell Laptop Heatsink For Select Latitude and Precision Systems. It's fun and easy and everyone wins. Part Number: DT785. Compatible Part Numbers: DT785. Compatible Model: Latitude D630. Product Type: Heatsink. 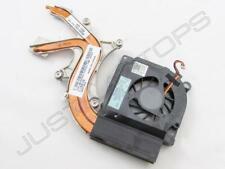 Cooling Fan Dell P/N: 0YT944 / YT944. 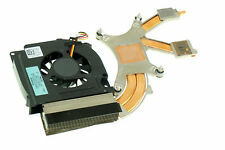 Heatsink Dell P/N: 0DT785 / DT785. Includes: Heatsink with built in mounting screws Cooling Fan. Light Wear. Our definition of a 'Used - Light Wear' Product This will automatically include the product details and any order information which will enable us to help with your query faster.